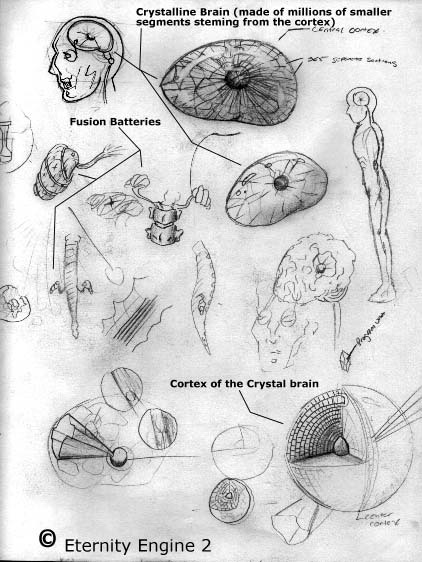 Jack's Brain is made of millions of crystal shards which all stem format he center where a cortex lies. The Brain itself is divided into 365 sections. Each able to act a single brain. 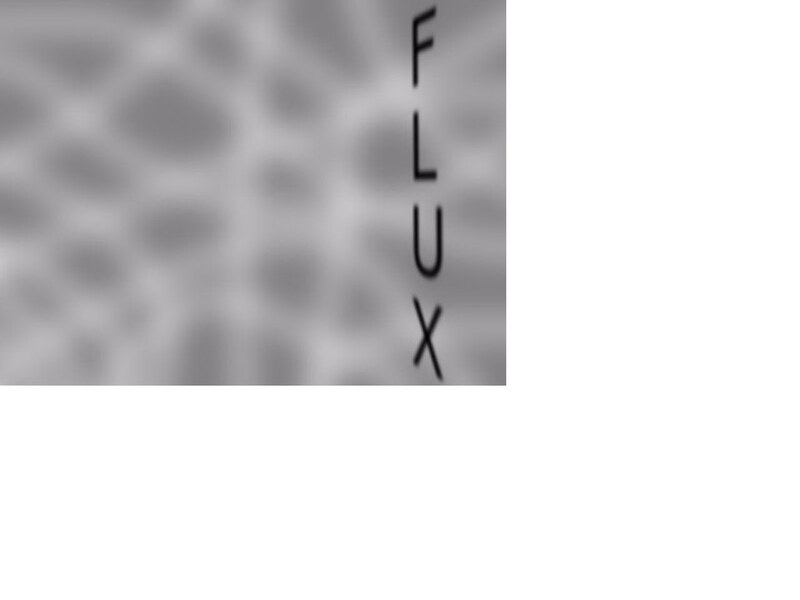 365 separate stimuli without lag. The cortex is made of millions of small sections call memory blocks. Each can hold 100 Teraflops. The calculations are made by the core oft he cortex where an unknown system of computing hides veiled under the advanced structure. Making it one of the most advanced computers systems ever known. Located at the base of the spine are two kidney sized batteries. These batteries supposedly use a type of cold fusion which gives it unknown power levels. Jack can use this energy and channel it through small micro fibers which run through his entire body. Easily making Jack a formidable foe. The exact origins of these technologies is unknown. 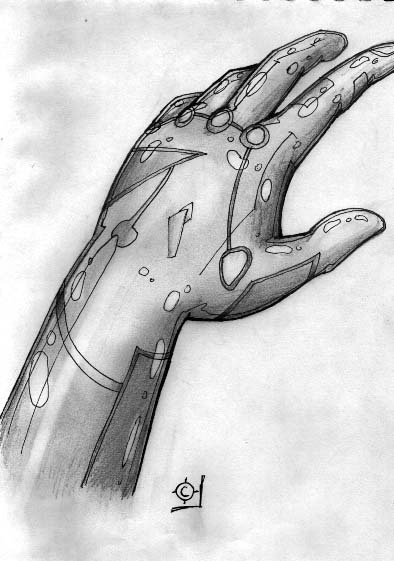 This sketch shows how the layer of a type of silicon forms over the normal skin. This creates a glossy glass look on the surface as well as a thin transparent layer of greenish blue. Still unknown even to Jack is what causes the lines and various shapes on the surface of the silicon.